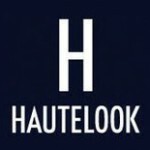 HauteLook is a premiere online dealer, based in Los Angeles, providing affiliates restricted time sales on garments, items of kids, beauty goods, fashion accessories and home decors. In 2007, HauteLook was launched and was bought by Nordstorm in March 2011. It is possible to find several thousand lifestyle and top fashion products in HauteLook at very low cost. You can purchase men and women fashion goods, beauty products, fashion accessories, home decors, toys and garments of children, up to 75% off, everyday at 8 AM Pacific. Free membership is also available to attract customers. HauteLook independent sale event is conducted during occasions to sell products on discounted prices. There are currently 0 consumer reviews about HauteLook available. Share your review. Please take a note that you are about to post a public review about HauteLook corporate office on CorporateOffice.com. This review will be public, so please do not post any of your personal information on this website. If you would like to contact the corporate offices of HauteLook, please use their contact information such as their phone number, website, and address listed above to contact them. However, sometimes staff from HauteLook headquarters do read the reviews on this website.